The HexArmor AP361 cut resistant apron has been engineered to protect the most vulnerable areas of users. Using SuperFabric material this cut resistant apron offers the highest level of cut resistance as certified by European Standard EN 388. 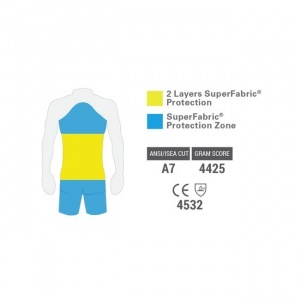 Protecting users from wire, metal, wood and glass punctures this protective apron offers a lightweight and higher quality alternative to its knitted or leather counterparts. The HexArmor 36 Inch Cut Resistant Protective Apron AP361 comes in one universal size. 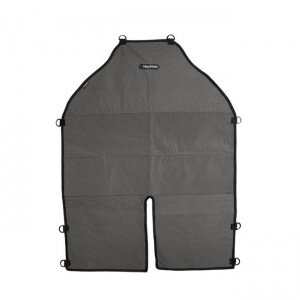 The HexArmor 36 Inch Cut Resistant Protective Apron AP361 is supplied individually.